A plastic machinery factory in China you can trust We are Xinke Plastic Machinery Co.,Ltd , a professional plastic machinery manufacturer in China. Our company is located in Zhangjiagang, 150 kilometers from Shanghai. We have more than ten years?experience of making PLASTIC MACHINERY. Our main products are: SINGLE SCREW EXTRUDER, TWIN SCREWS EXTRUDER, PELLETIZER, BLOW MOULDING MACHINE, CUTTER, MIXER, HAULING MACHINE, PLASTIC SCRAP CRUSHING AND WASHING MACHINE, SERIES PRODUCTION LINE , ECYCLING&GRANULATING SYSTEM, and so on. We can also make production lines according to the requirement of our clients. Now our products are exported to more than ten countries in the world. 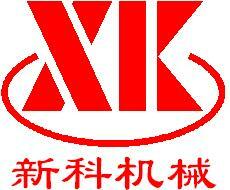 We promise to give you the best price and good quality production lines or machines.